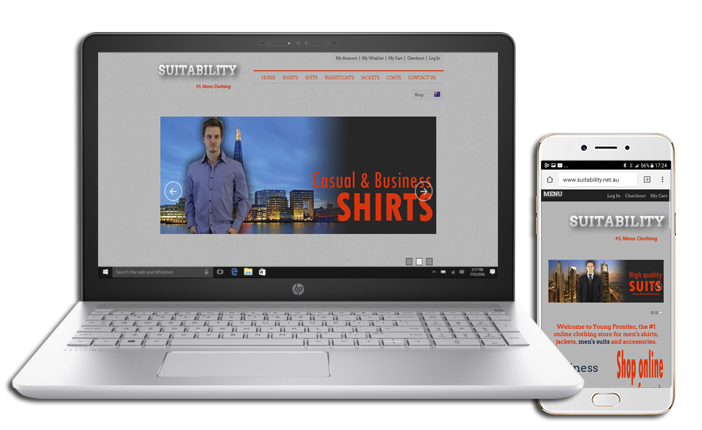 Elegant website design with integrated eCommerce for a leading suit manufacturer and distributor. The eCommerce solution was designed and developed in Magneto, the world’s foremost eCommerce platform. The shopping cart was customised to include client’s custom designs, model images, suit measurements, variable sizes, pick up at store, multiple locations and mobile map loading. I engaged MYEASYPC to develop a modern shopping cart to rival Tarocash or Peter Jacksons. Young Frontier was developed in the same platform and technology as www.peterjacksons.com. The development was seamless and no effort from our end. Once the design specification was gathered MYEASYPC delivered the product to our extreme satisfaction. We have no hesitation in recommending MYEASYPC for any website or shopping cart development projects. We have now hired MYEASYPC for SEO services and several more website projects.